January patios! Who would have thought? This mild stretch of weather has allowed us to keep working when we normally could not. 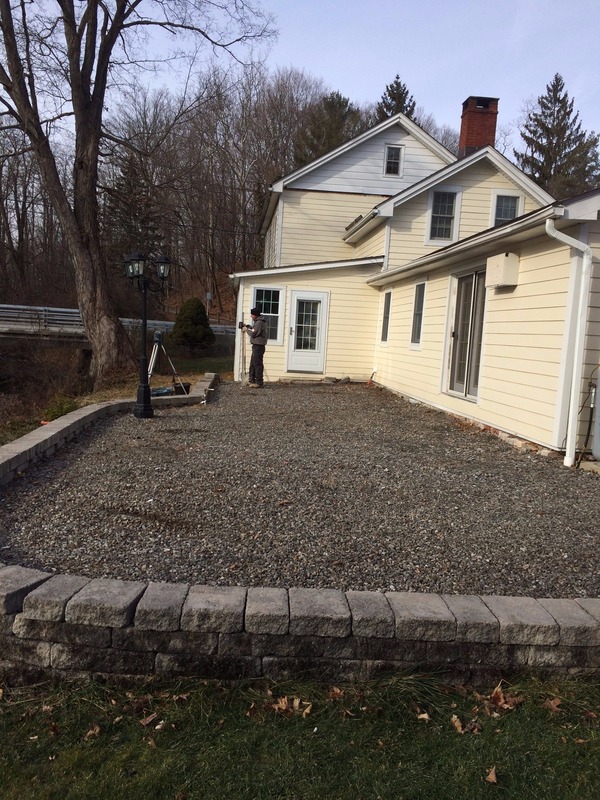 We are currently working on installing this new Unilock patio in the hamlet of Poughquag. 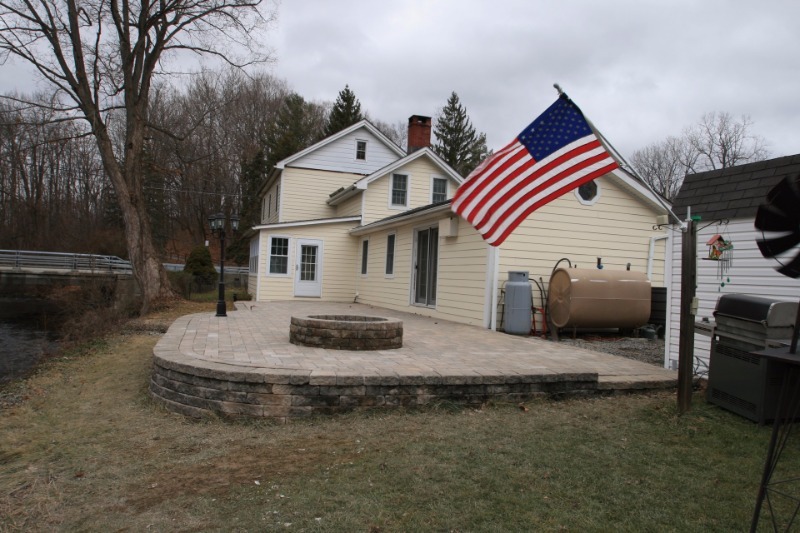 The project involves repairing the existing wall, removing and installing new patio base materials, establishing proper grades for good drainage away from the house, and installing Unilock pavers and fire pit. The homeowners chose to use Unilock Transition pavers in the Almond Grove color to compliment their home and existing retaining wall, and we installed them in a mixed size pattern for added interest.